This is one of my favorite cakes to bake. It is not difficult to make but it will take a little bit of time . . . good things come to those who wait . . . only in this case you will be baking while you wait. 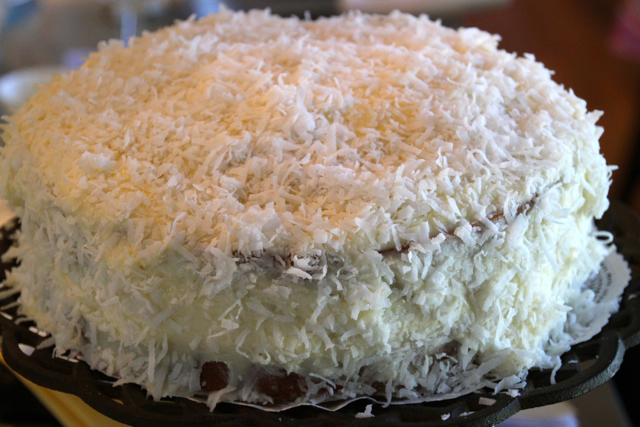 Anyway, this coconut cake is for coconut lovers and non-coconut lovers alike. My husband, Pat is a died-in-the-wool NON-coconut lover . . . and even he loves this cake! 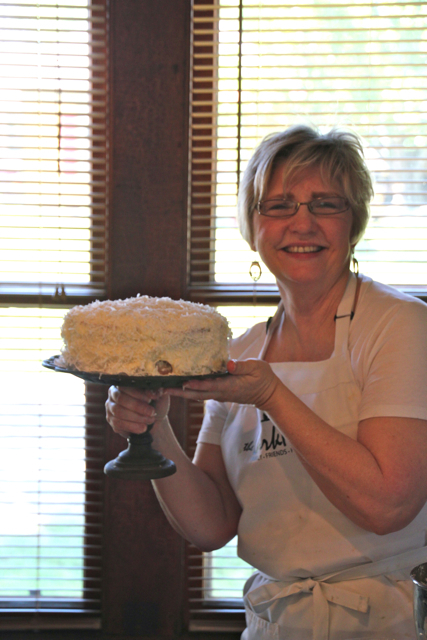 Another recipe from our “Lady’s Tea” cooking class, I think you will like this one as much as I do. For the frosting, in the bowl of an electric mixer fitted with a paddle attachment, combine the cream cheese, butter, vanilla and almond extract on low speed. 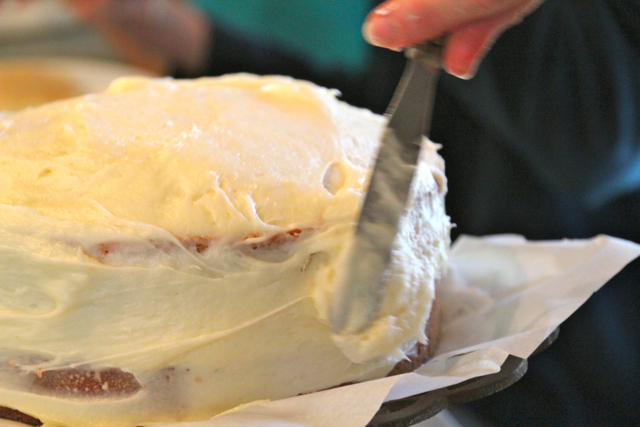 Add the confectioners’ sugar and mix until just smooth (don’t whip!). As always, thank you for your amazing support and thank you for reading! Don’t forget that Spring and Summer are the perfect time to come to The Flint Hills of Kansas and just chill . . . go to a gourmet cooking class . . . or enjoy all the culture, history and architecture here. Please Visit Our Website if you would like more information. This entry was posted on May 14, 2012, 11:12 am and is filed under Cooking and Baking. You can follow any responses to this entry through RSS 2.0. You can leave a response, or trackback from your own site.